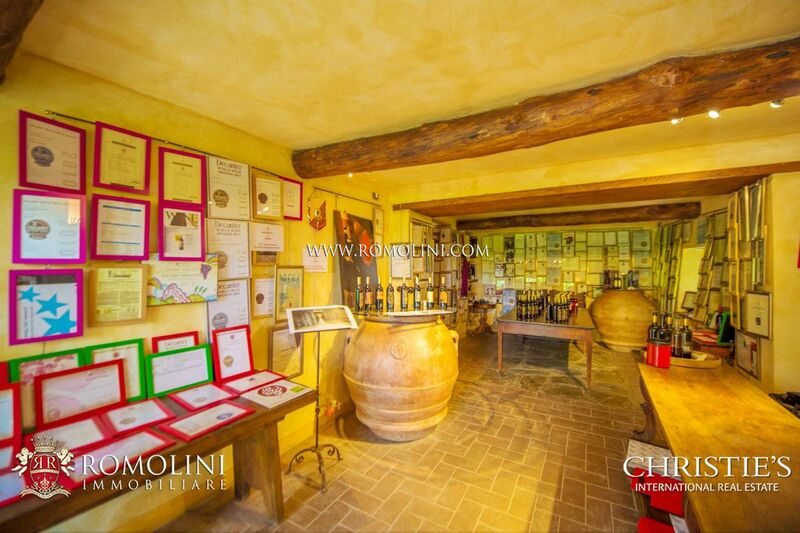 Multi-award winning organic winery producing wine, vinsanto, grappa, olive oil and honey for sale in the Chianti Classico, in Tuscany. 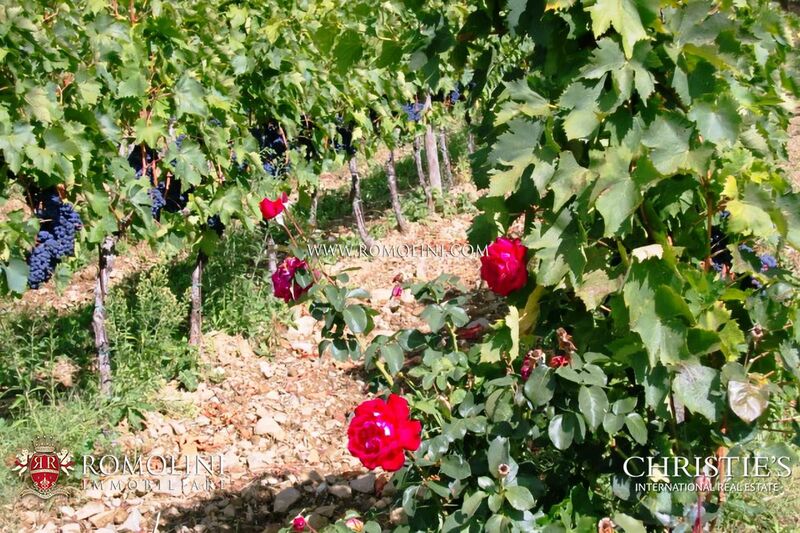 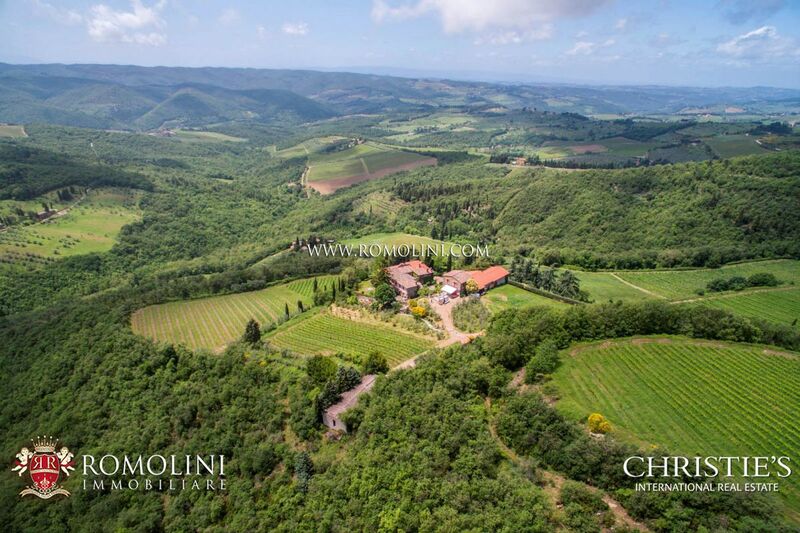 The estate expands over 42 hectares of land, of which 10 ha of vineyards, 1.5 ha of olive grove (40 year-old 300/320 olive trees), 1.7 ha of vegetable garden, fruit orchard, park and gardens, 29.7 ha of coppice and pasture land. 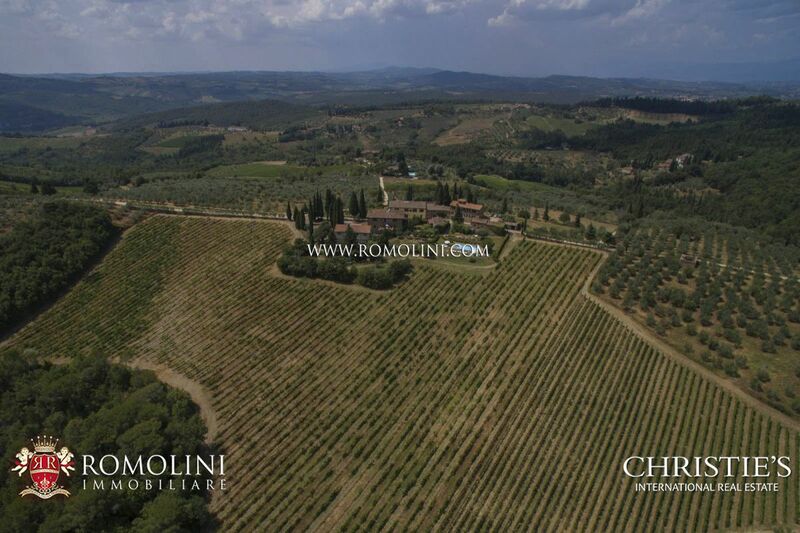 On the hills of Chianti Classico, not far from Florence, this renowned wine estate boasts 15 hectares of vineyard (14 of which registered as Chianti Classico DOCG) and allows producing up to 93,000 bottles of wine each year. 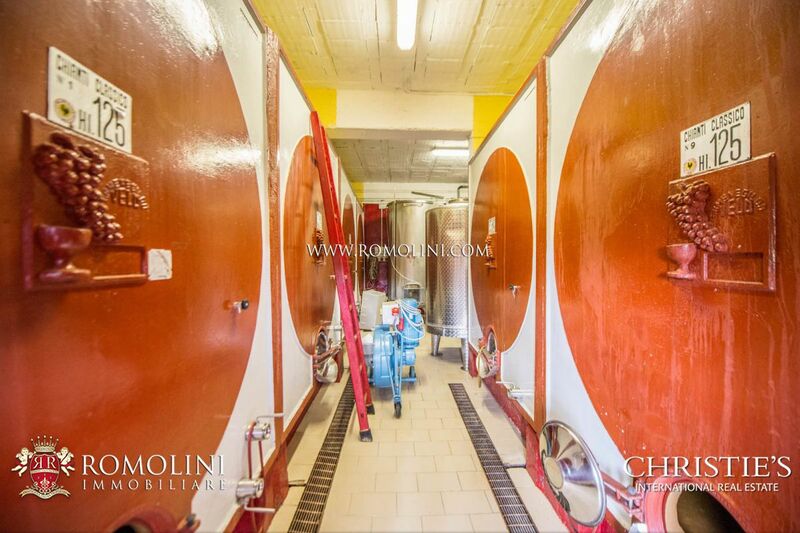 The buildings (1,287 sqm) need a few renovations and a project has already been approved to build an ampler and more suitable wine cellar. 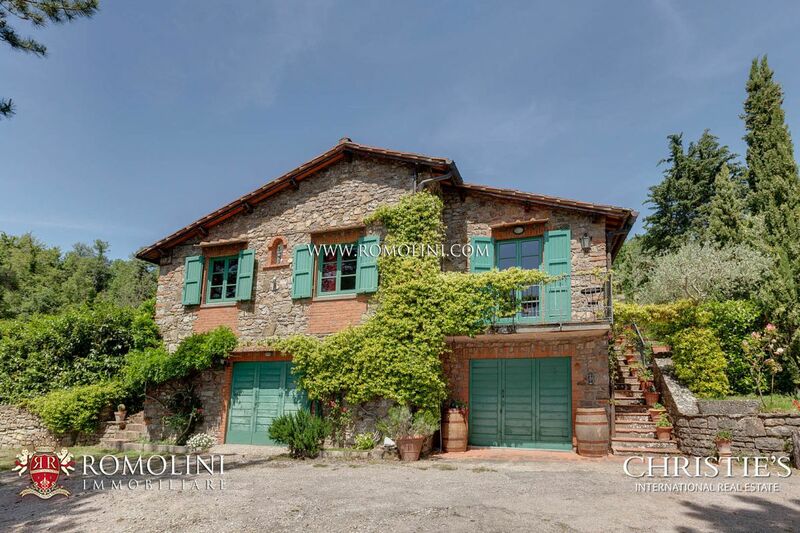 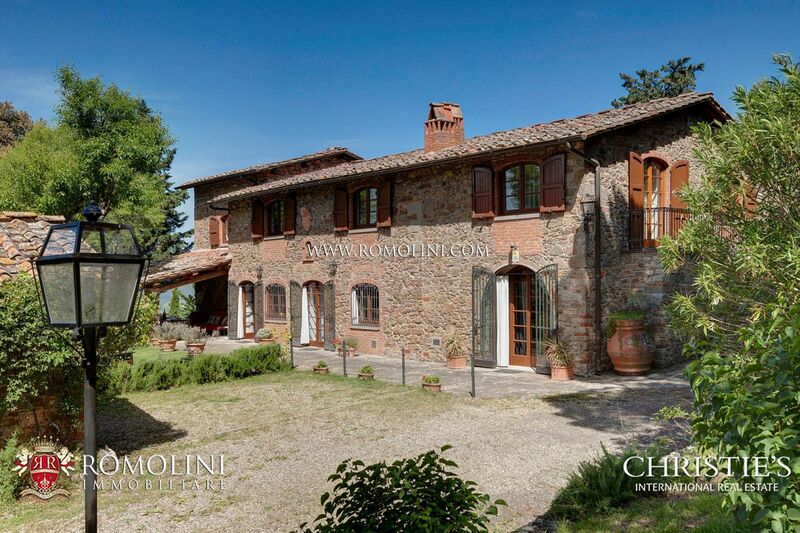 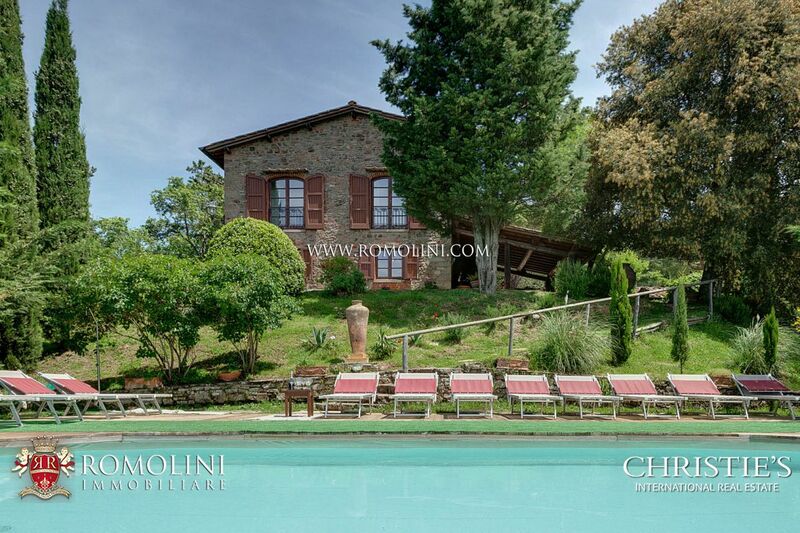 On the Chianti Hills, not far from the wine city of Greve, this finely restored stone farmhouse offers 420 sqm of surface for a total of 6 bedrooms. 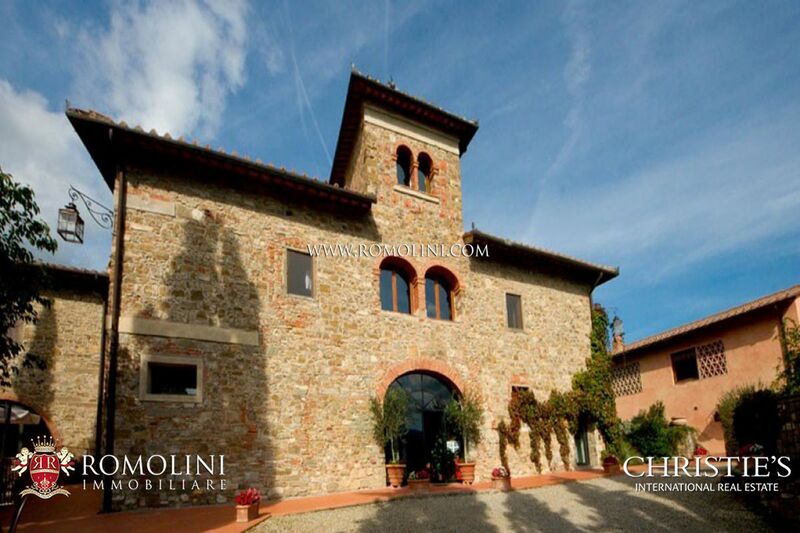 The ample size allows using the building in a hosting business. 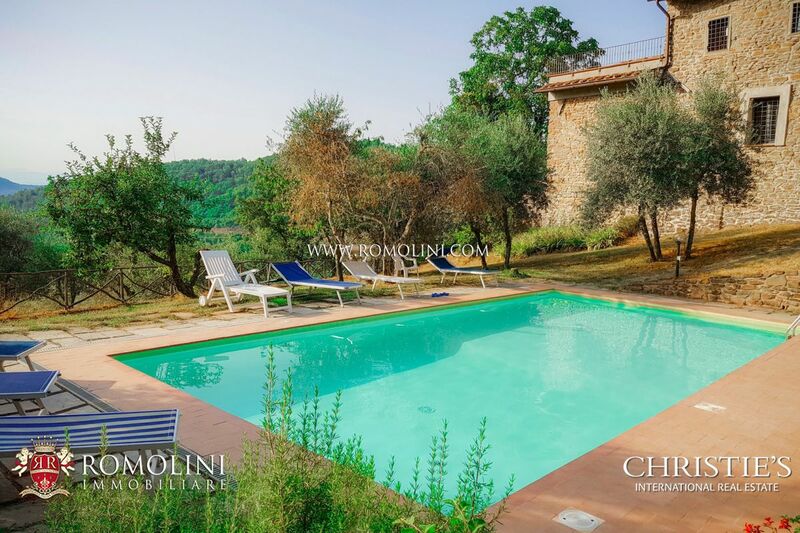 The property is completed by 12.3 hectares of land (including 5.6 ha of olive grove and 2.5 ha of chestnut grove) and a 10 x 5 m swimming pool with stone-paved solarium. 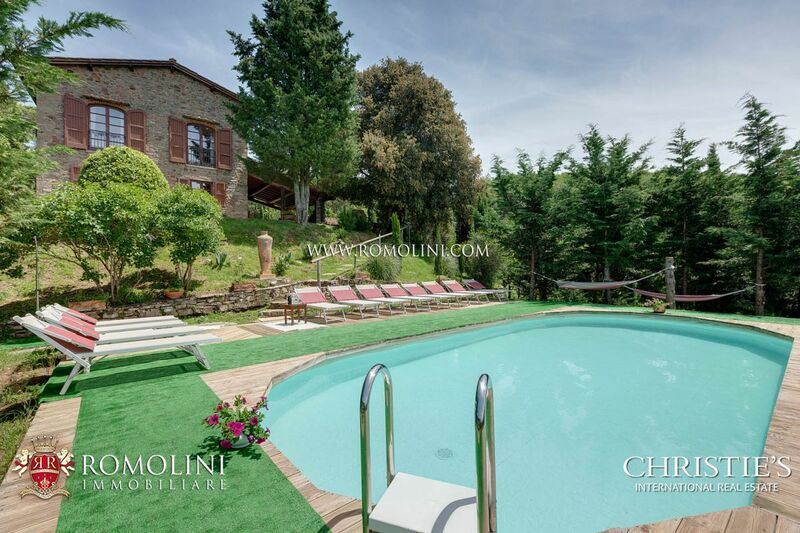 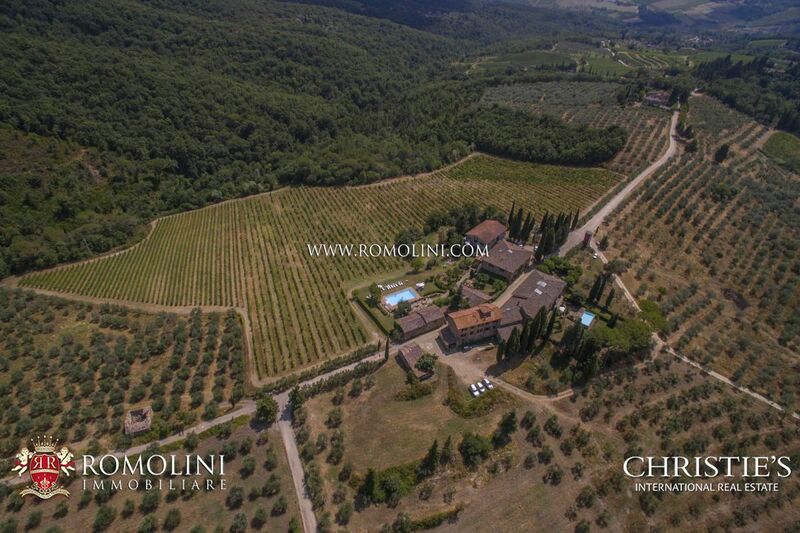 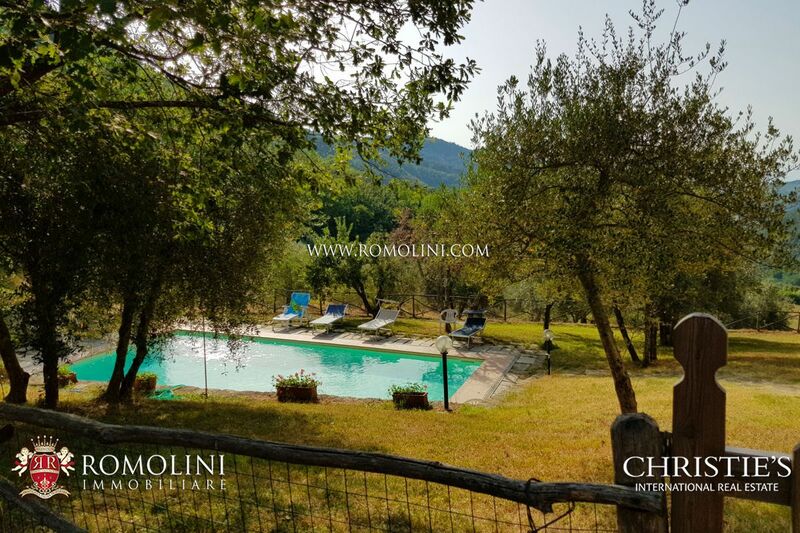 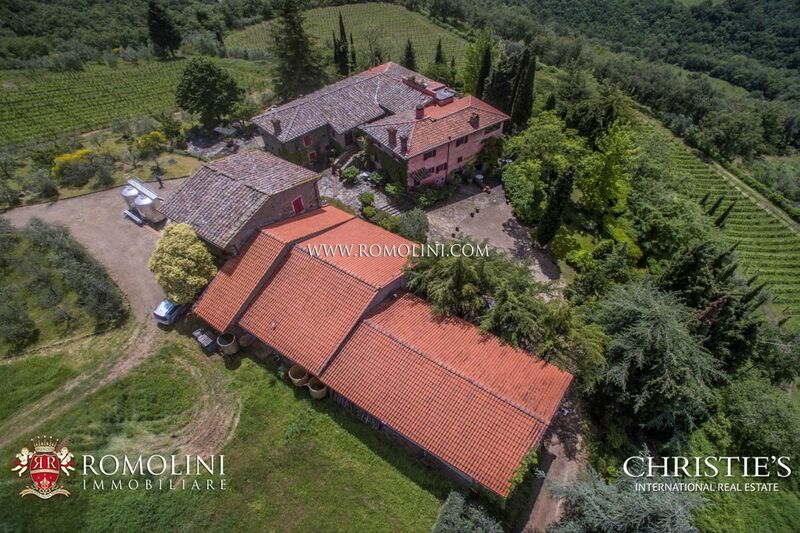 Between Florence and Siena, in the heart of the Chianti Classico, castle with 6 x 12 m pool, olive grove with 80 plants, vineyard, italian garden and tennis court for sale. 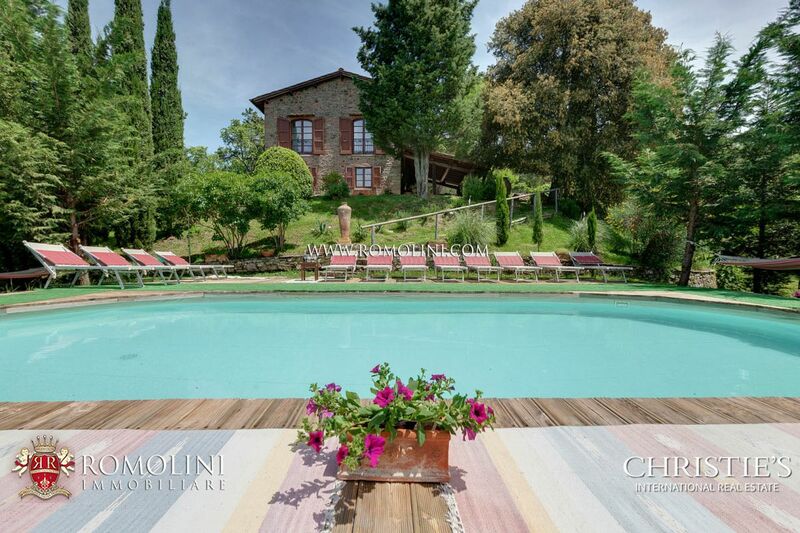 The property boasts 15-16 bedrooms and 15 bathrooms and includes a pool house and a lemon house, currently used as a gym. 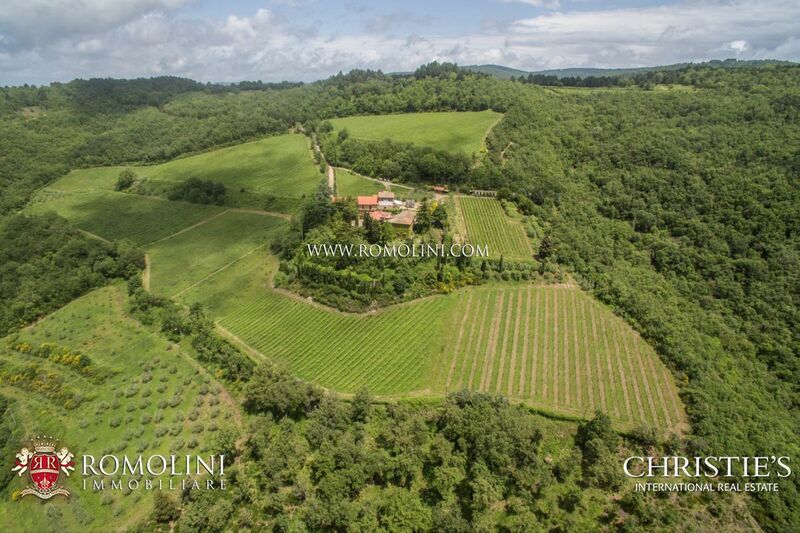 There is the possibility of buying 2 hectares of land with vineyard and underground cellar. 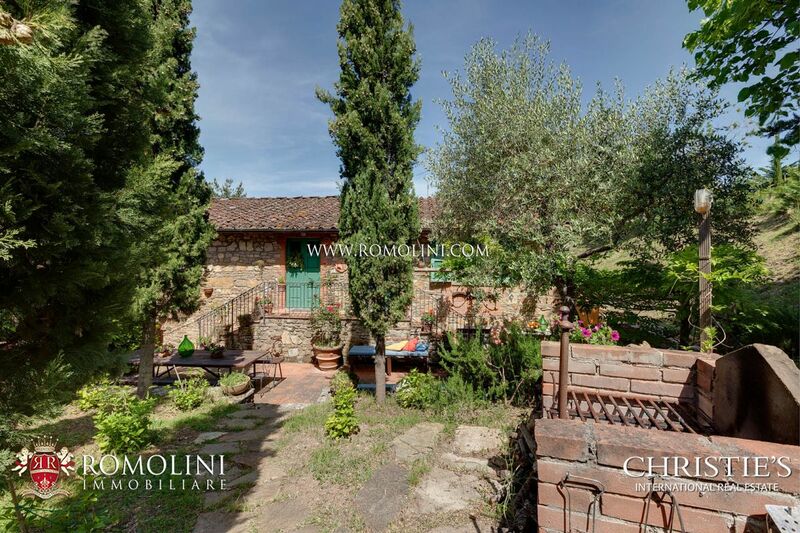 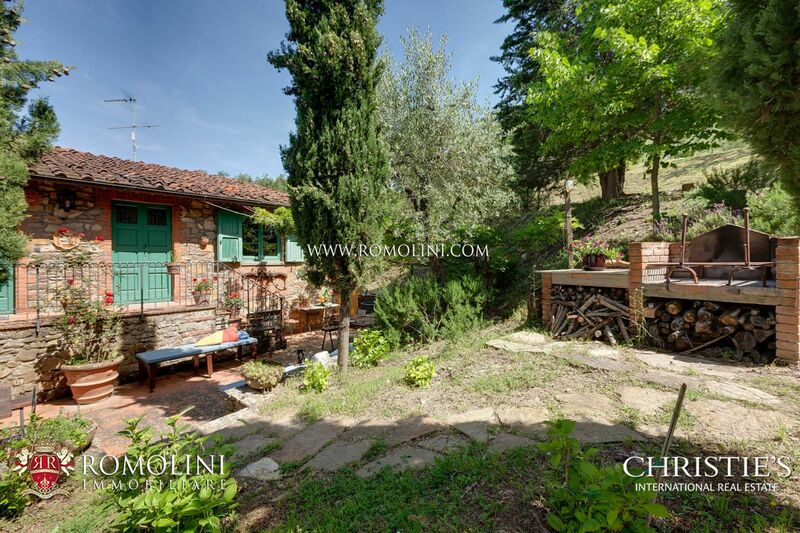 In the heart of Chianti, a short distance from Florence, this farmhouses are perfect for whoever is looking for a property in a quiet and deep-in-the-green location. 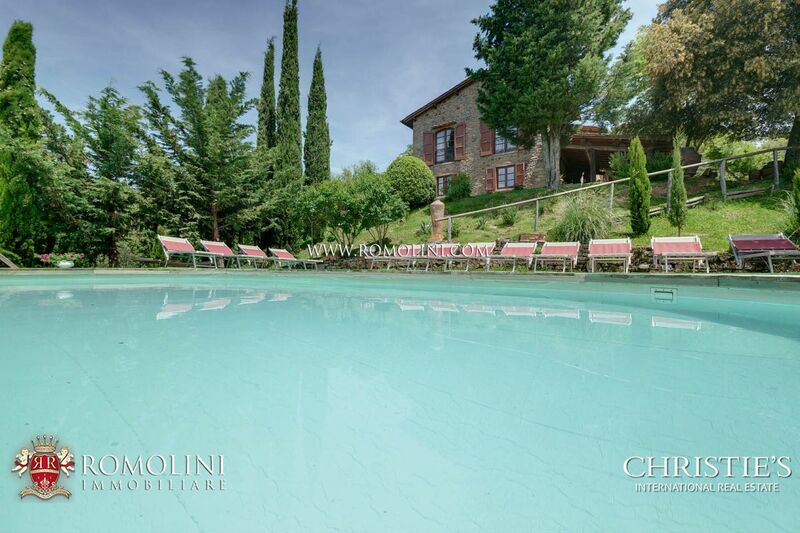 With 603 sqm of total surface and 10 bedrooms, the farmhouses are currently being used as a hosting business. 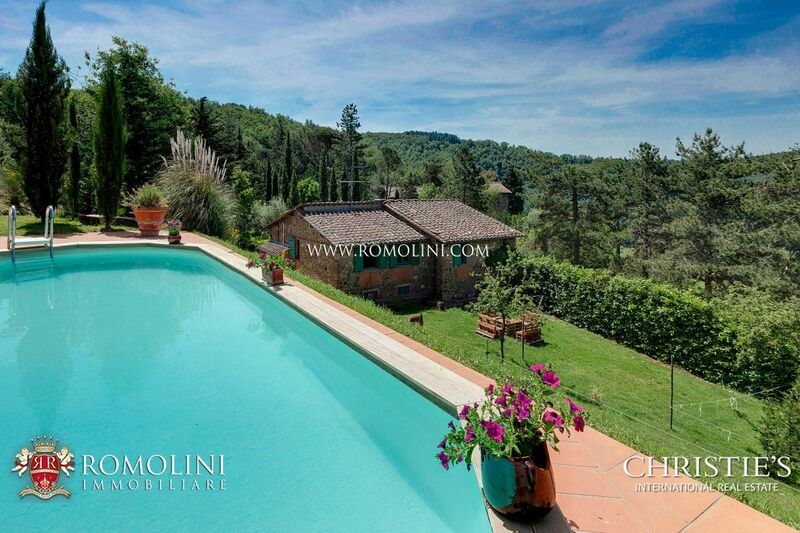 Further enriching the buildings we find two beautiful panoramic pools and 2.66 ha of garden. 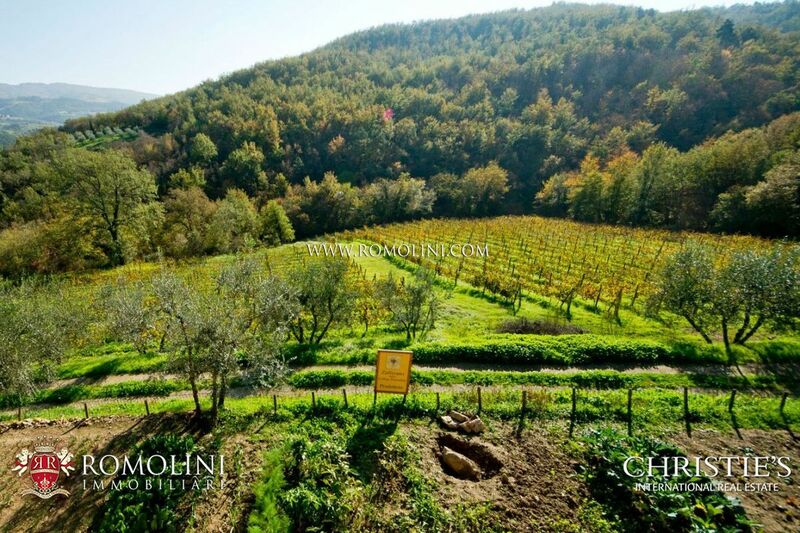 The surrounding area is perfect for activities such as hitch-hiking and mountain biking. 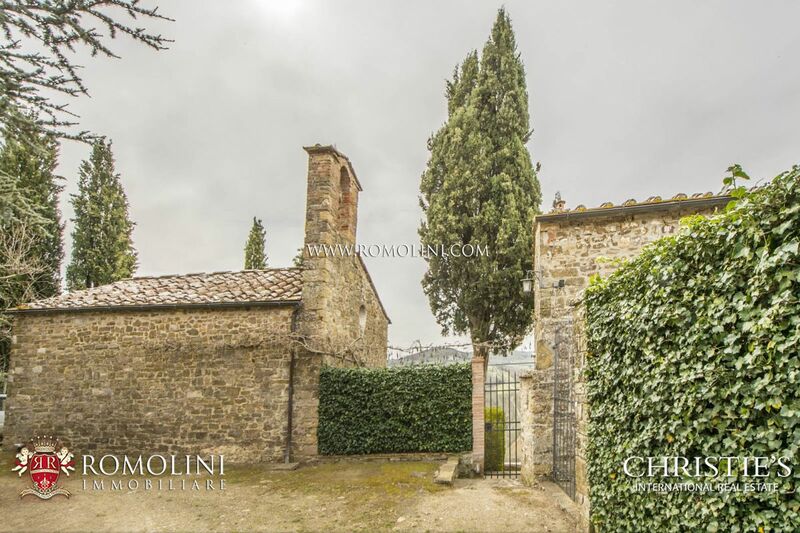 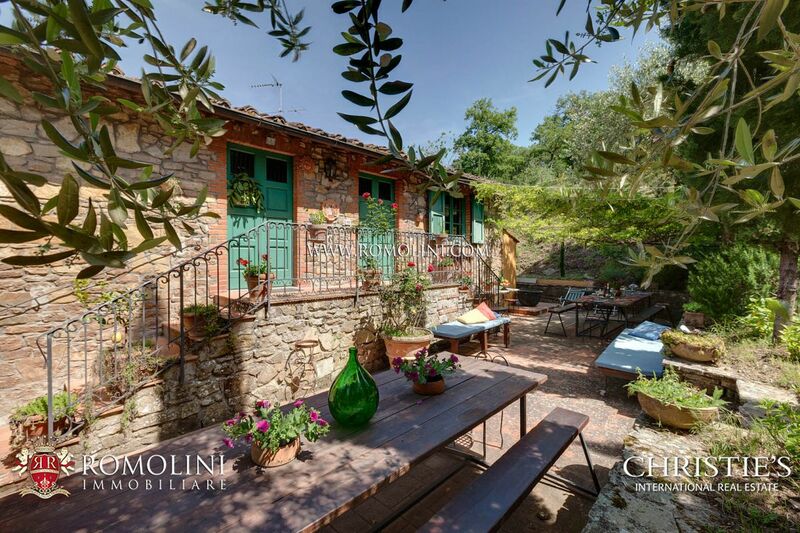 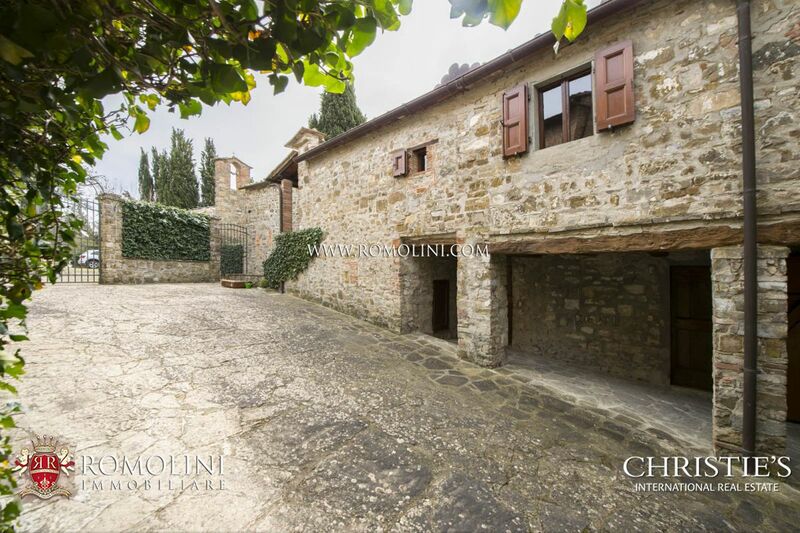 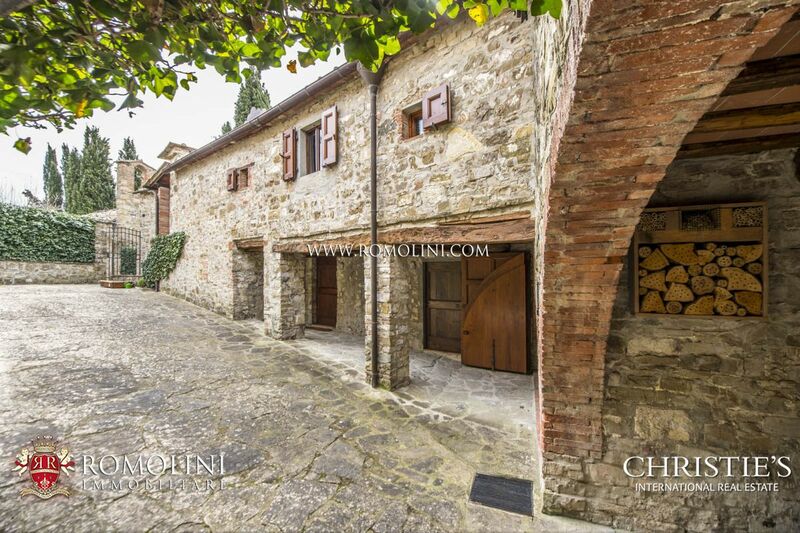 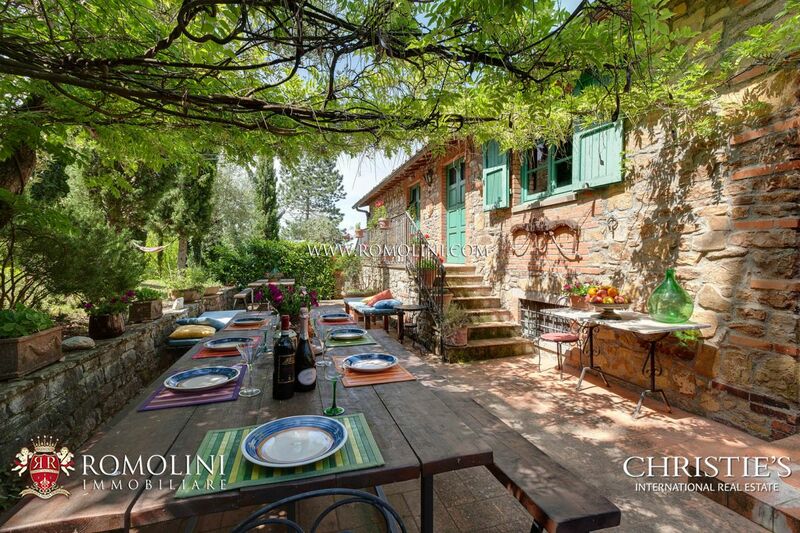 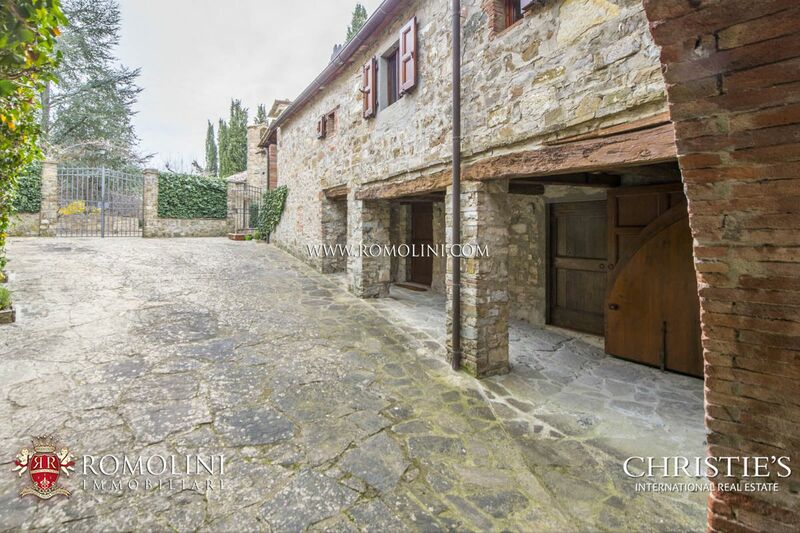 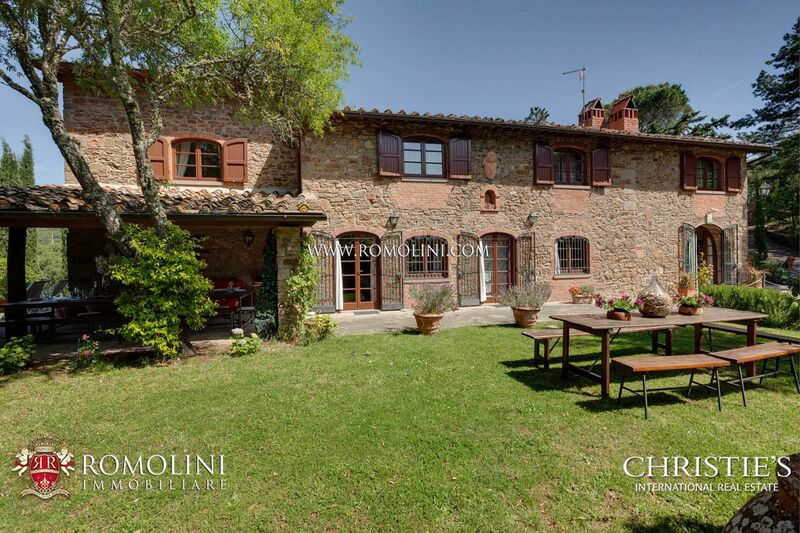 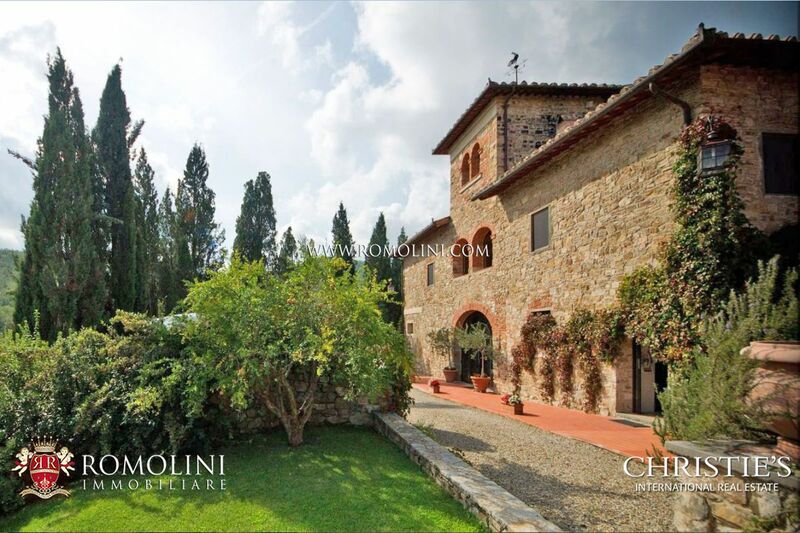 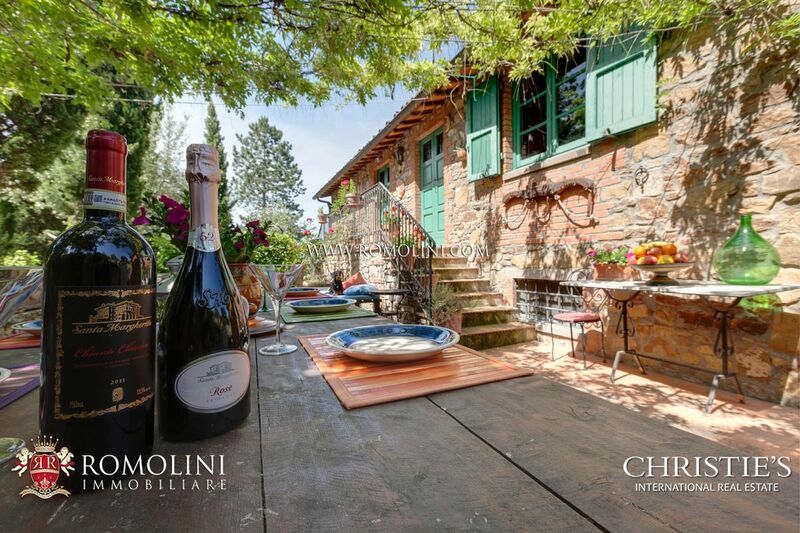 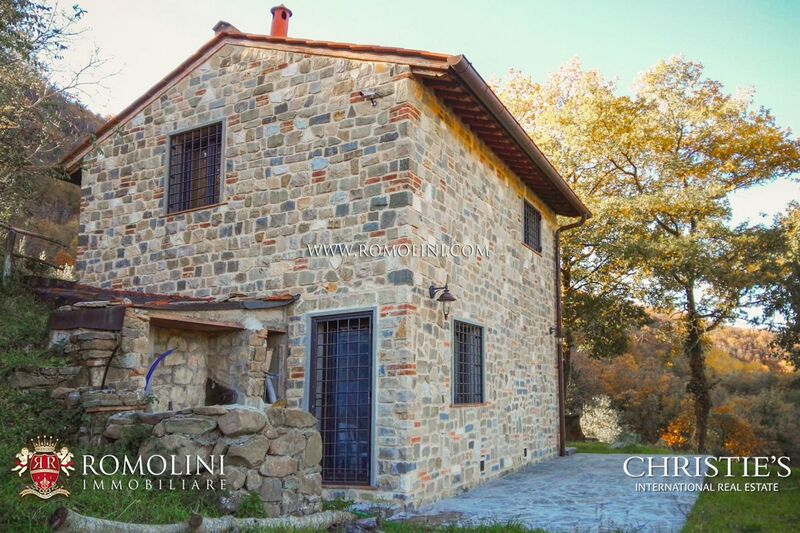 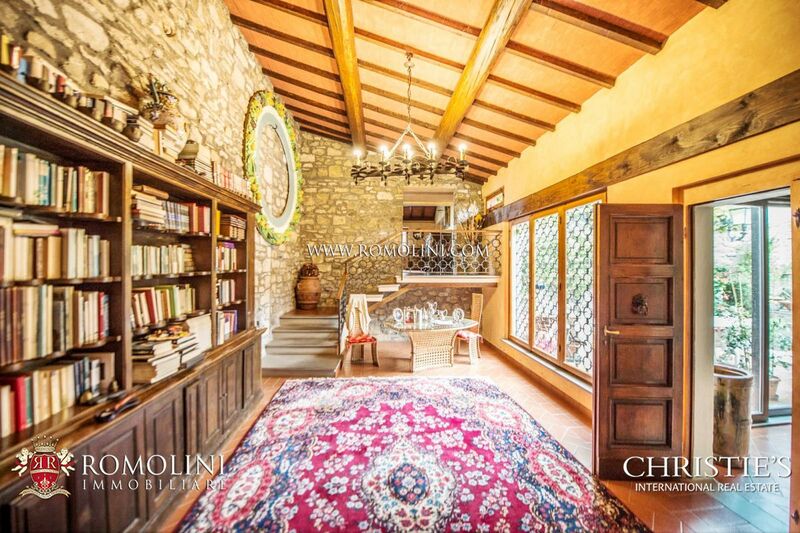 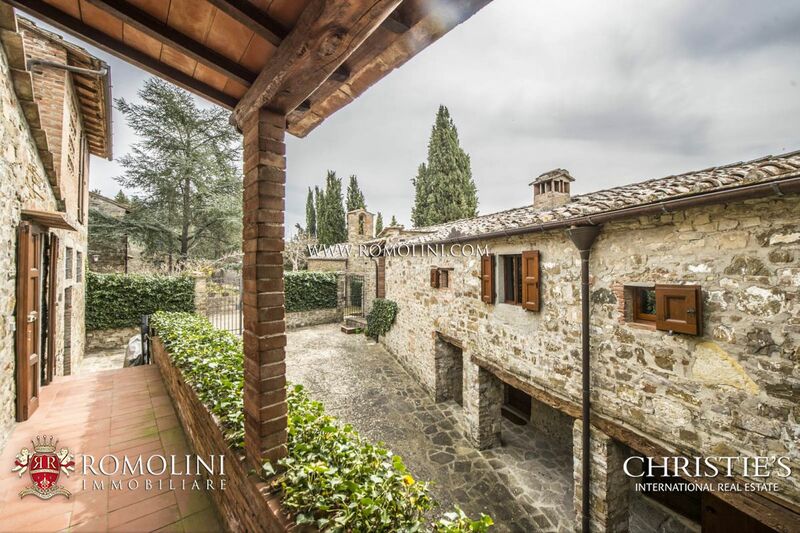 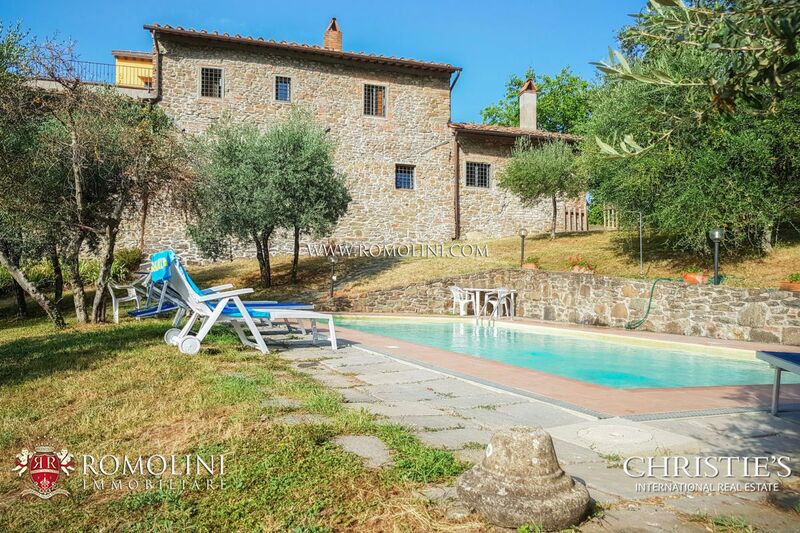 In the heart of Chianti, a short distance from Florence, this 11th century historical farmhouse is perfect for whoever is looking for a property in a quiet and green place. 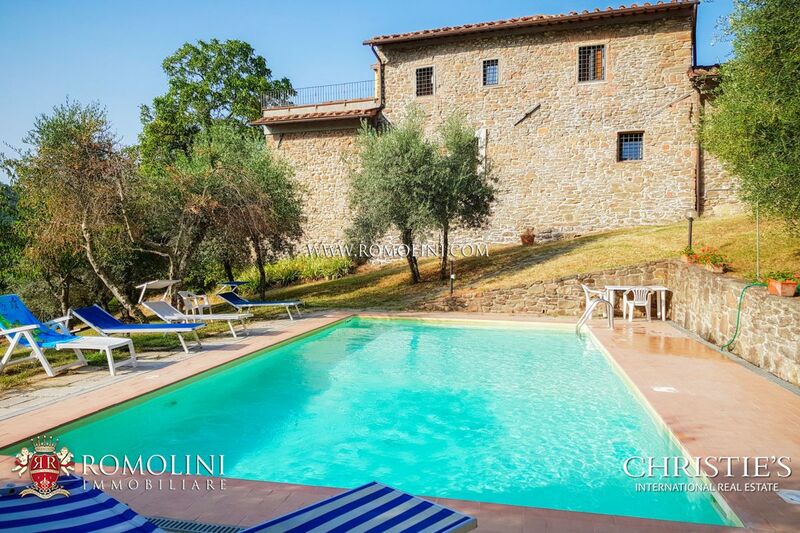 With 343 sqm of surface and 6 bedrooms, the farmhouse is currently used as a hosting activity. 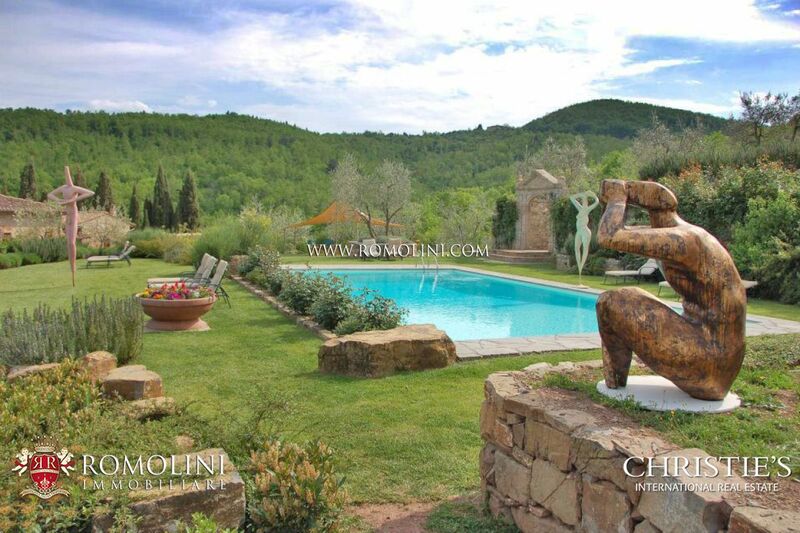 Further enriching the whole thing we find a beautiful panoramic pool and 1.66 ha of well-maintained garden. 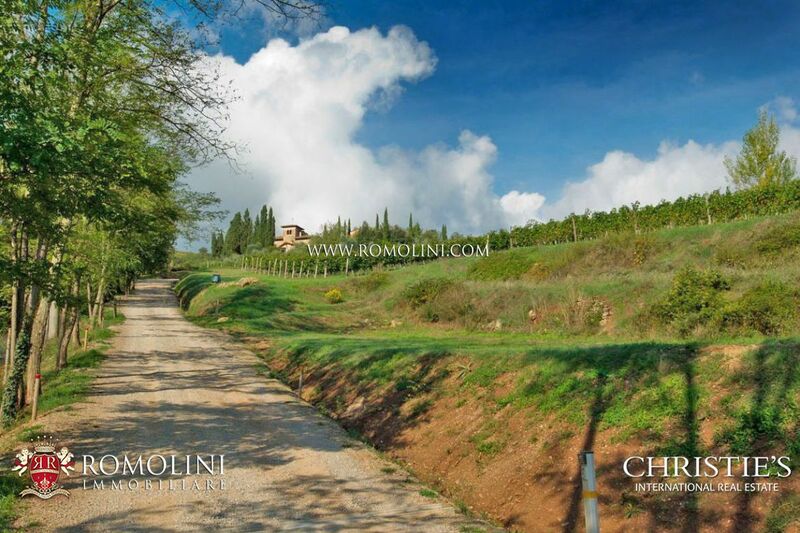 Around the property it is possible to take part in hitch-hiking or biking. 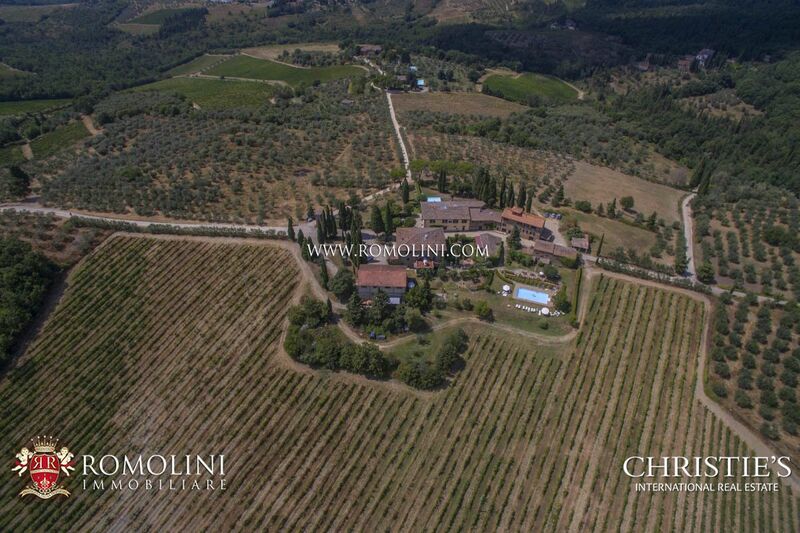 Tenuta Gallo Nero is a wine estate with 20 hectares of land, set on top of a gentle hill in the municipality of Greve in Chianti, from which it is set only a few minutes walking.The farm estate extends for 20 hectares and includes 5 hectares of vineyard (Merlot, Cabernet and Sangiovese) and two hectares of olive grove. 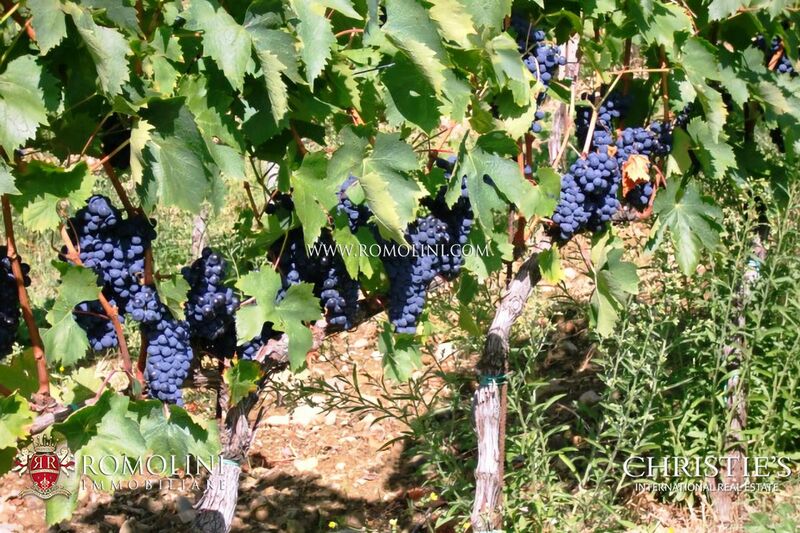 The type of wine produced are: Chianti Classico DOCG Gallo Nero, Rosso Toscano IGT, Supertuscan IGT. 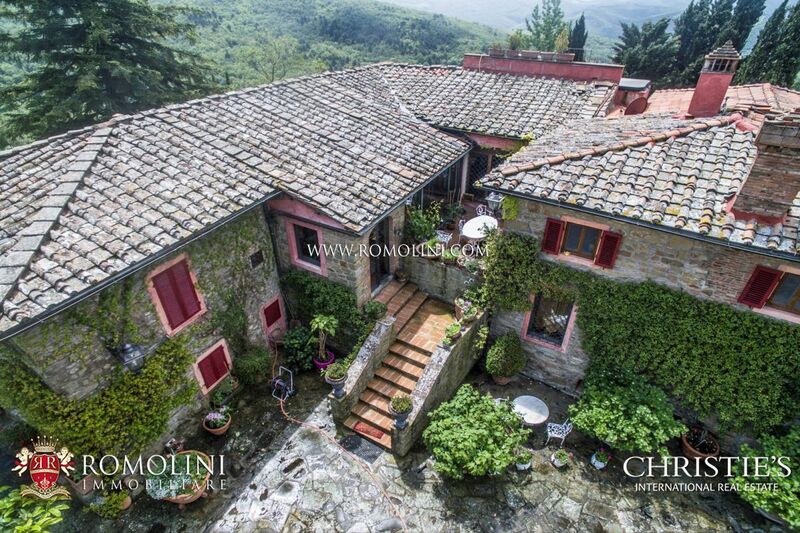 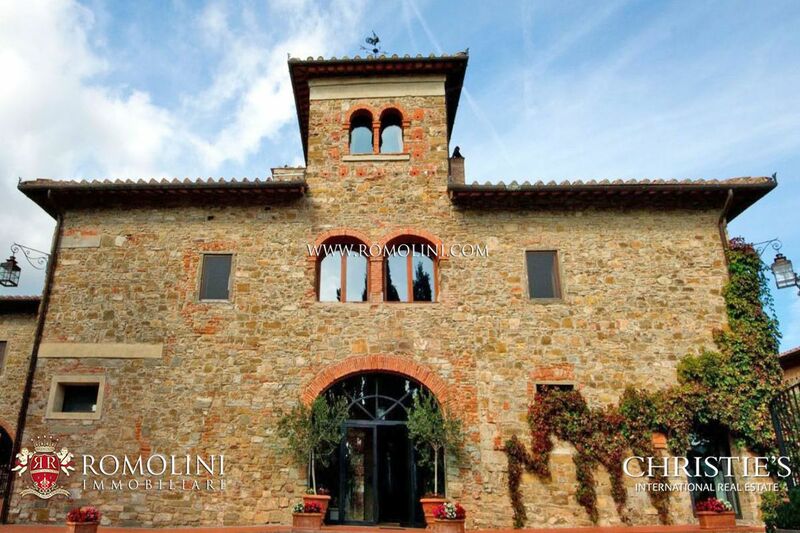 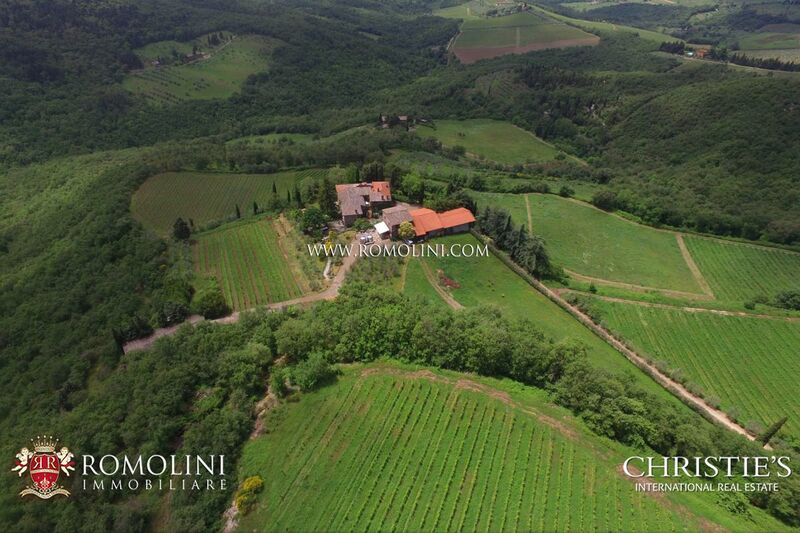 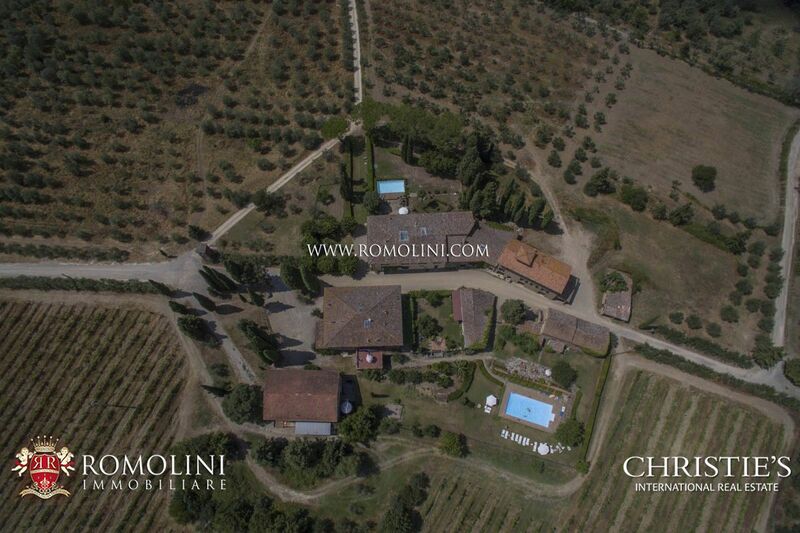 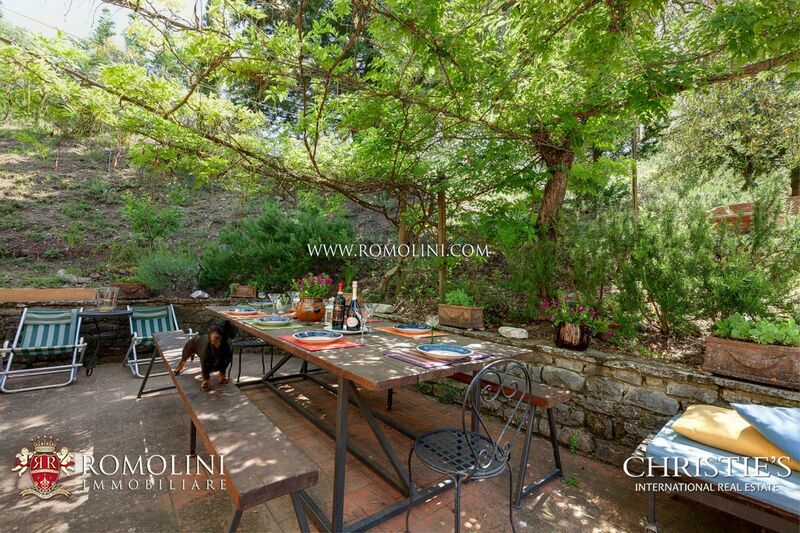 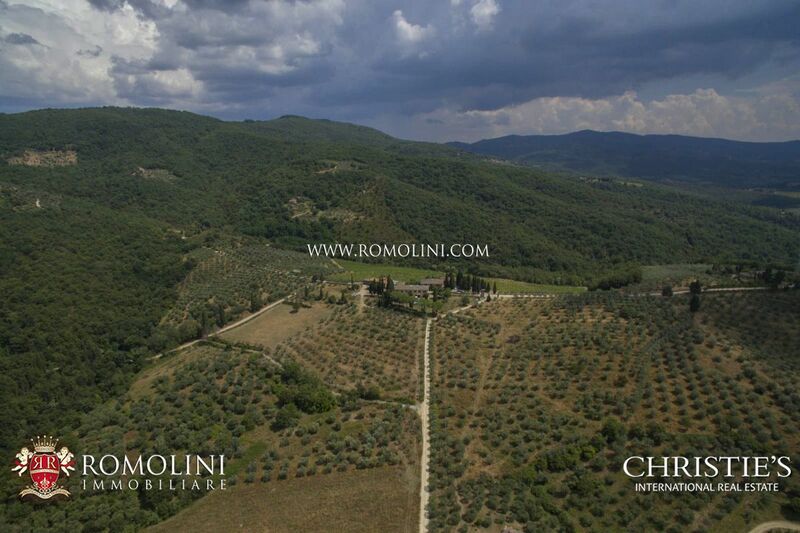 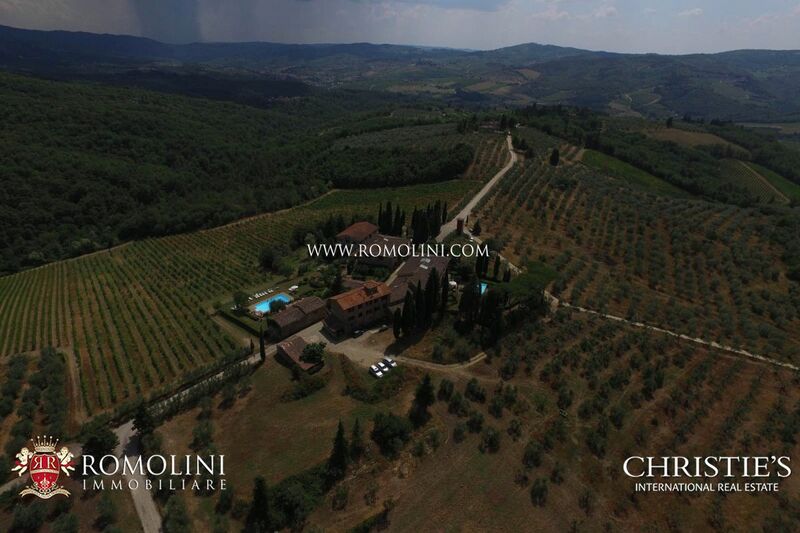 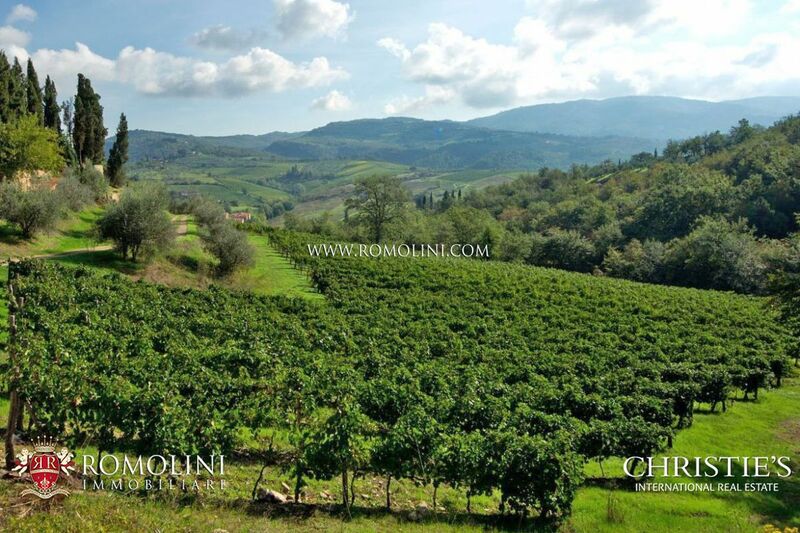 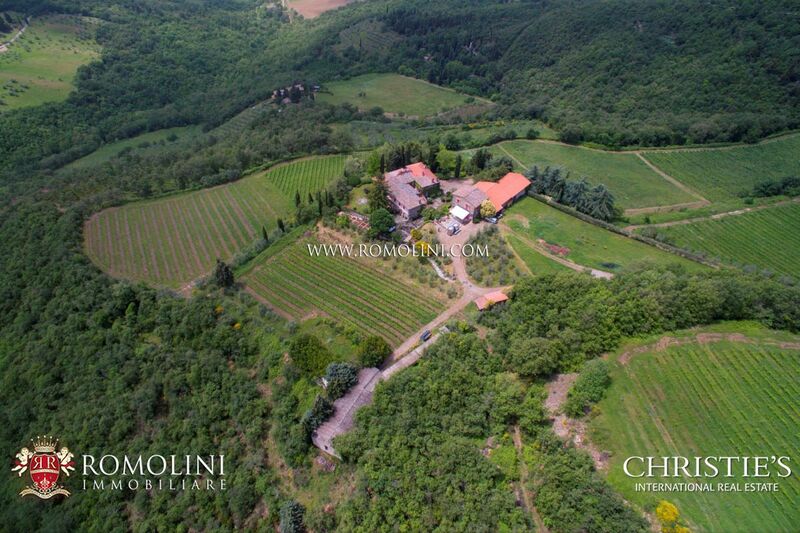 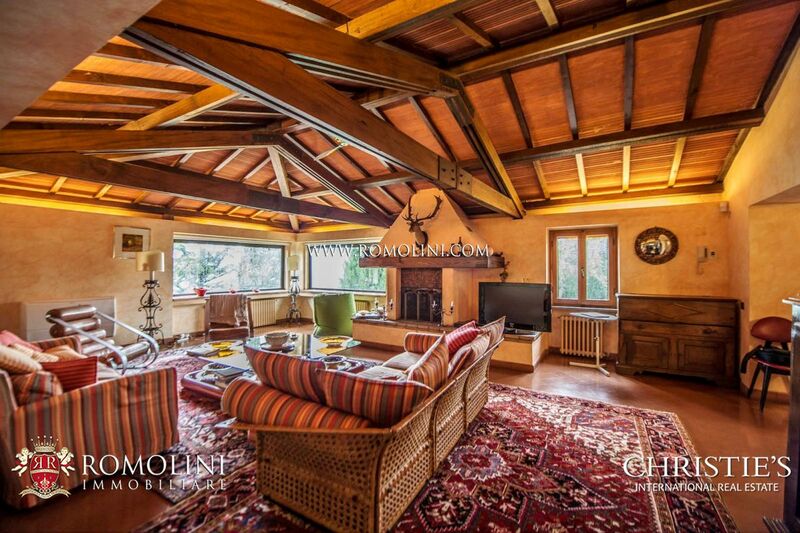 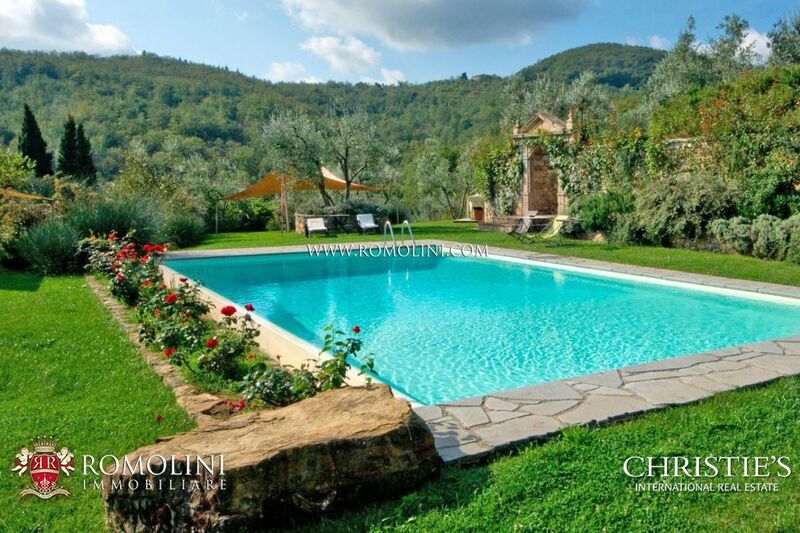 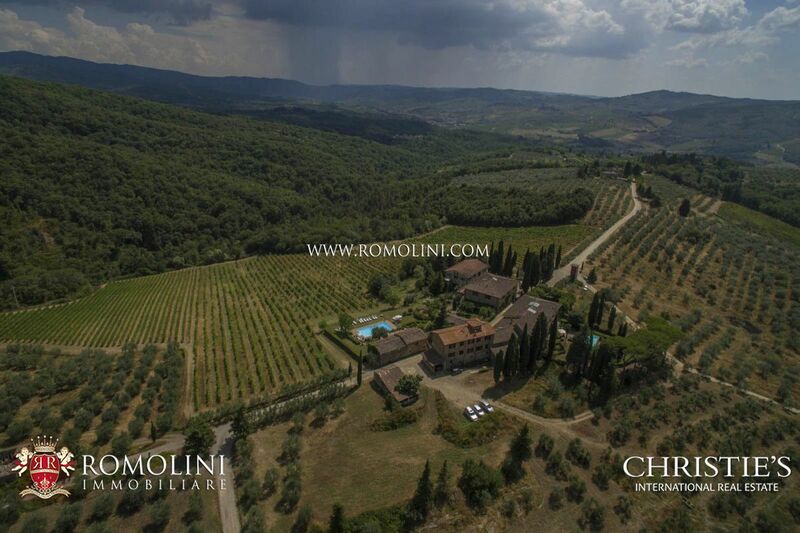 In Tuscany, in Greve in Chianti, hamlet with winery, Agriturismo, vineyard (14 ha), olive grove (17 ha) and two pools. 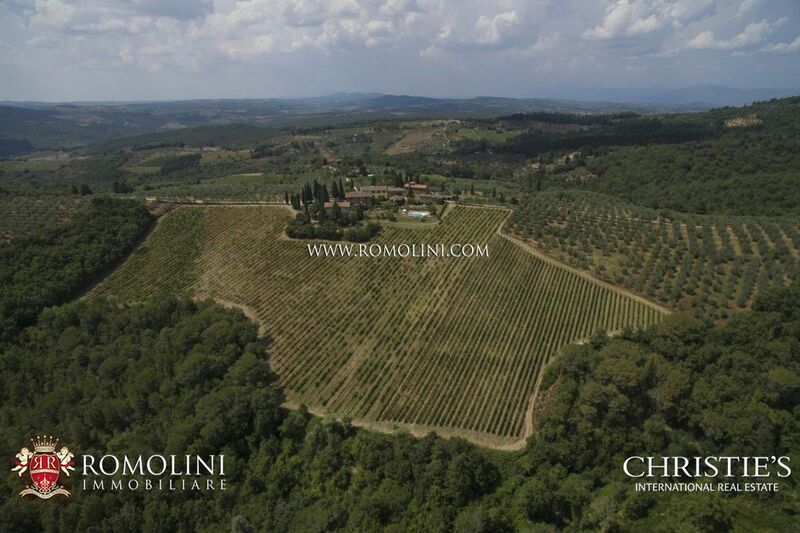 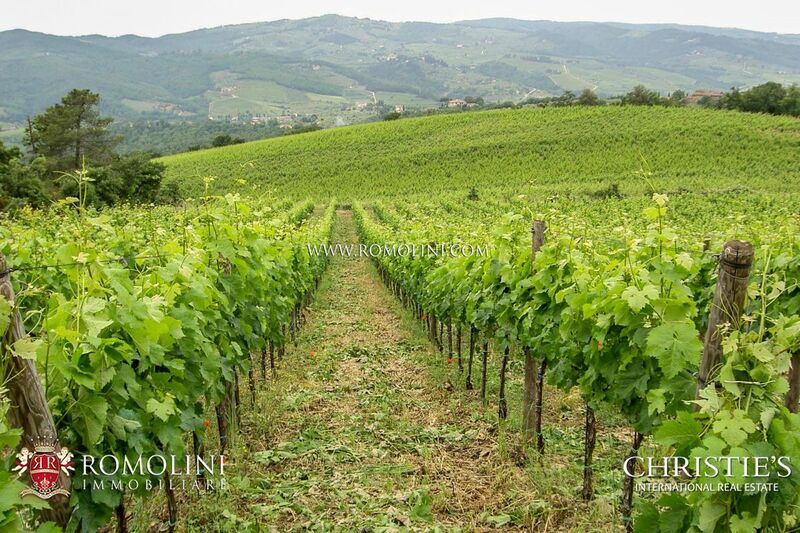 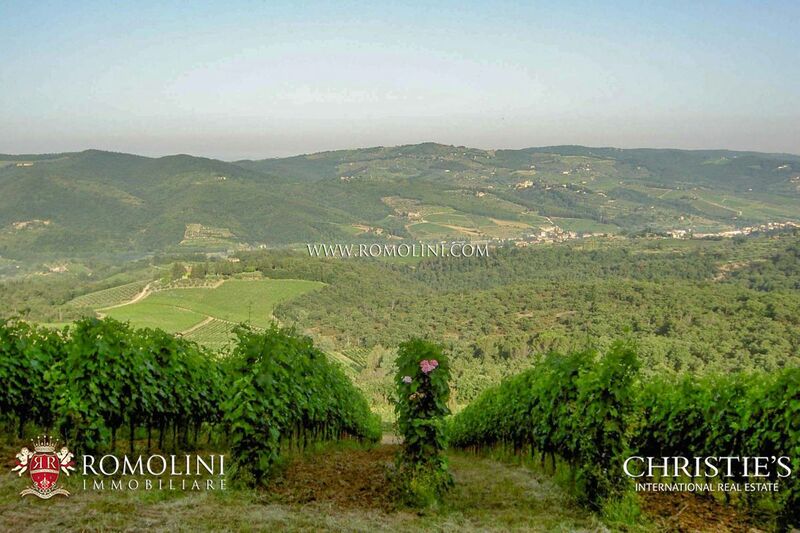 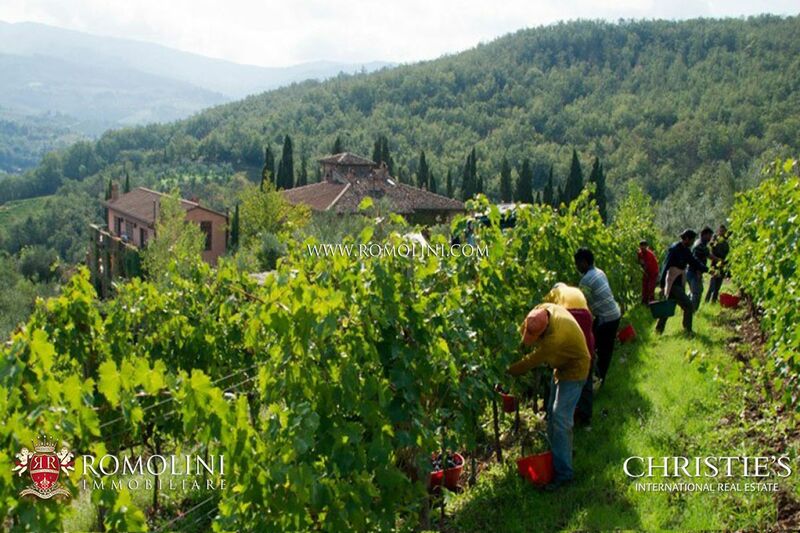 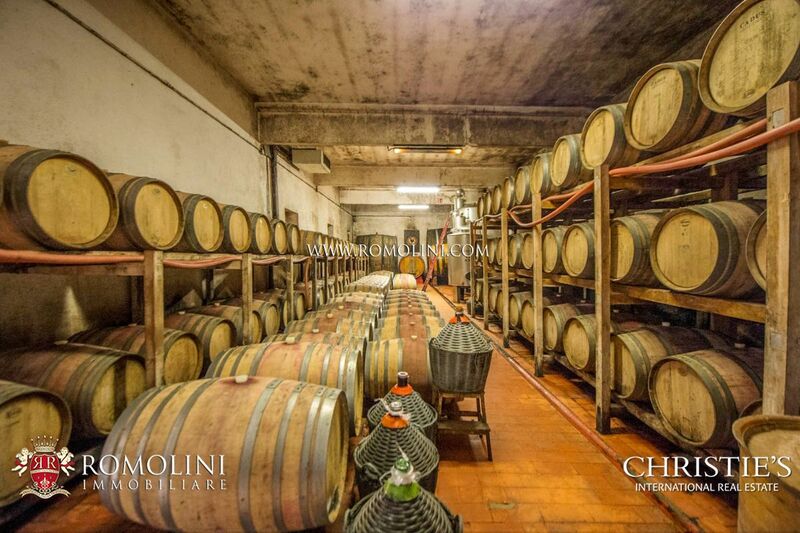 The estate is located in the renowned production area of the Chianti Classico DOCG “Gallo Nero”. 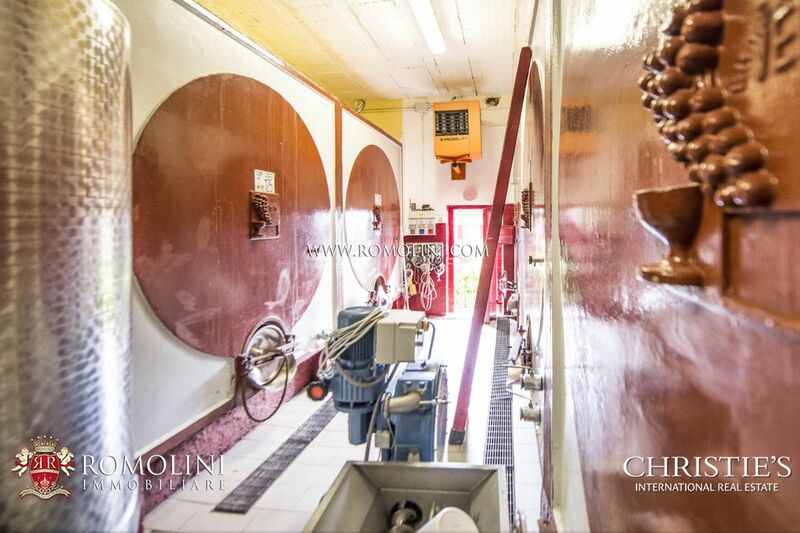 In addition to wine (Chianti Classico DOCG and Riserva Chianti Classico DOCG) and extra virgin olive oil, Grappa and Vinsanto are being produced here. 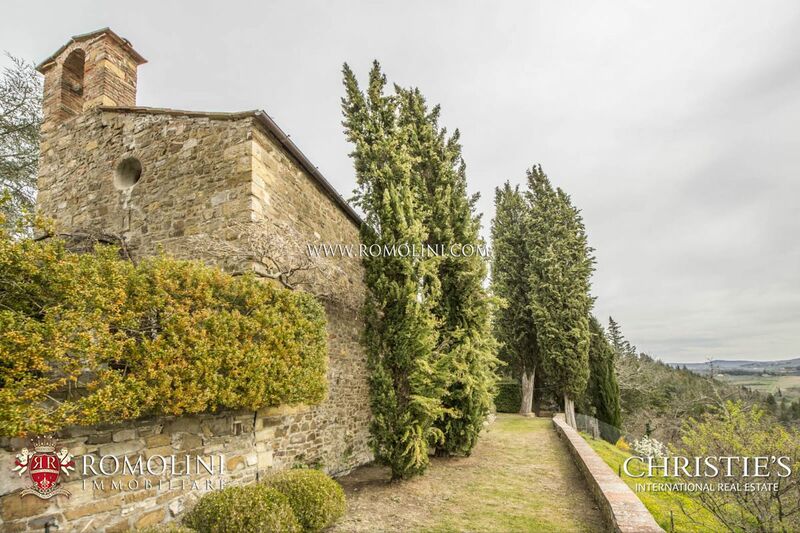 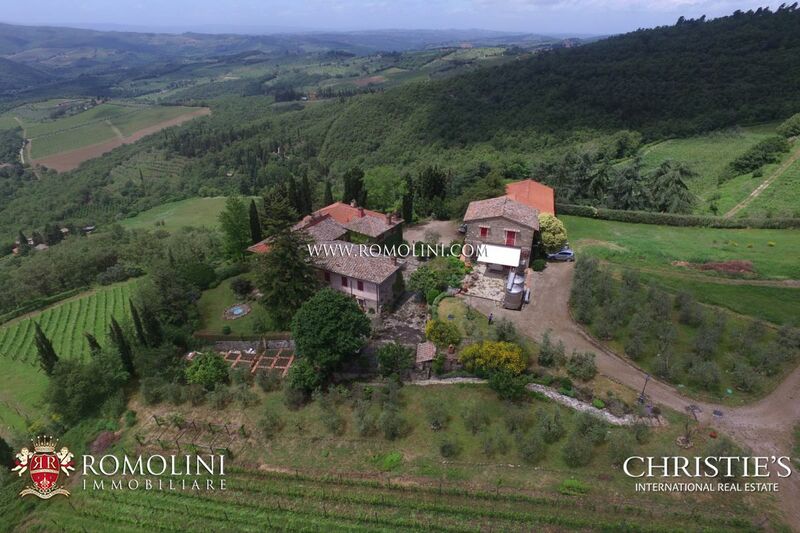 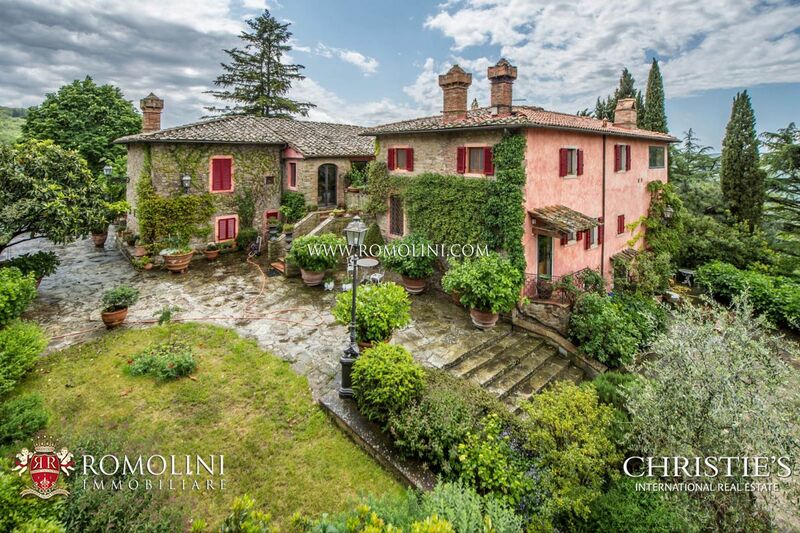 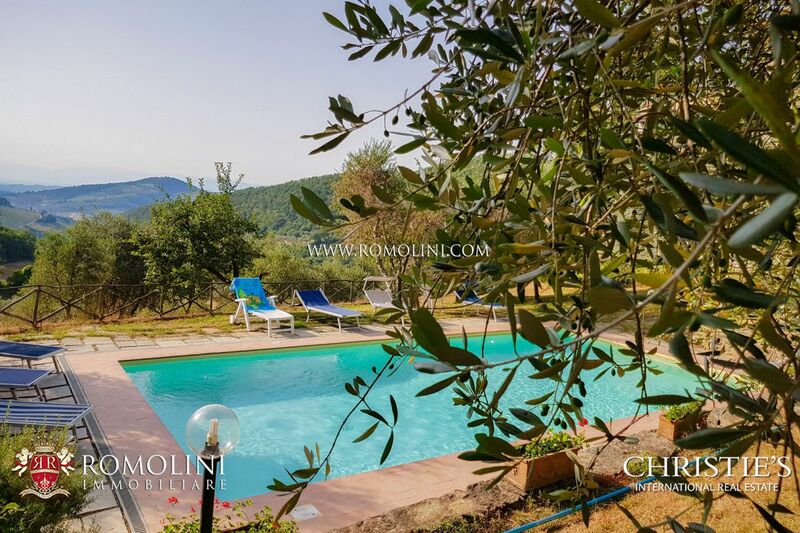 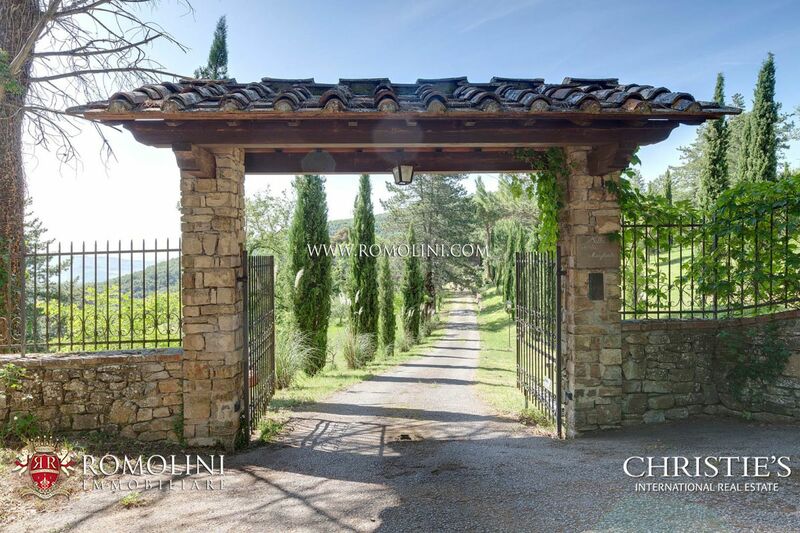 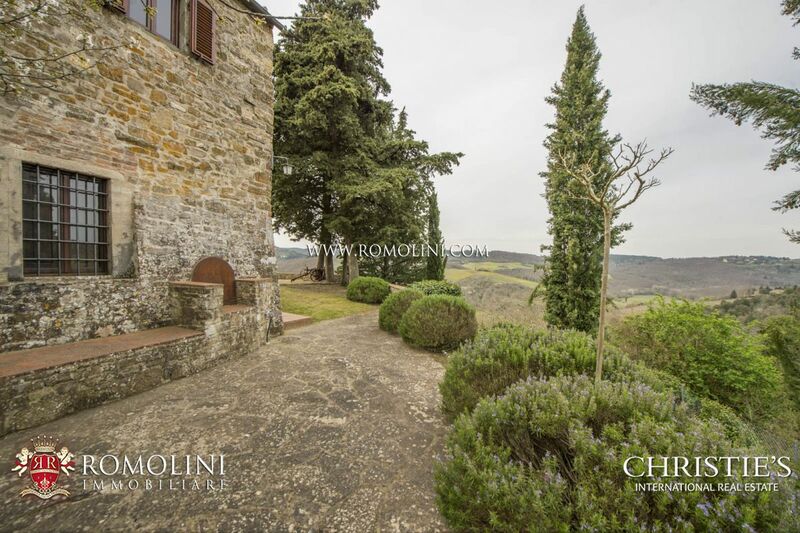 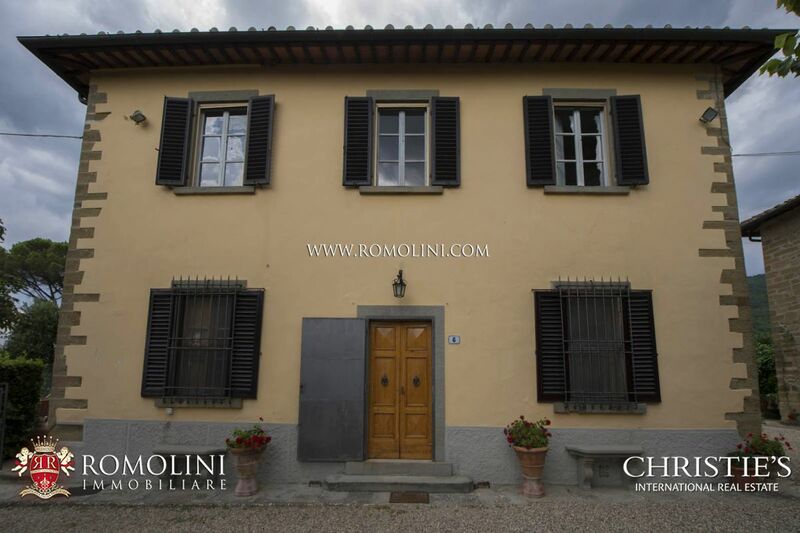 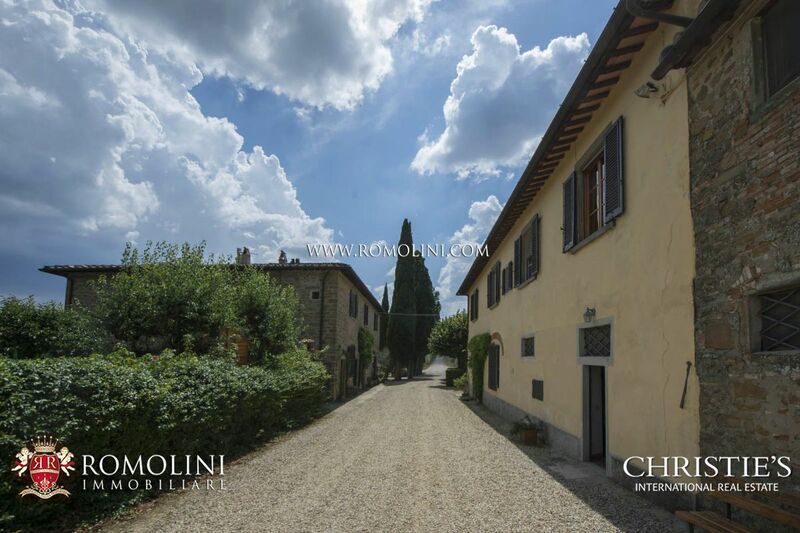 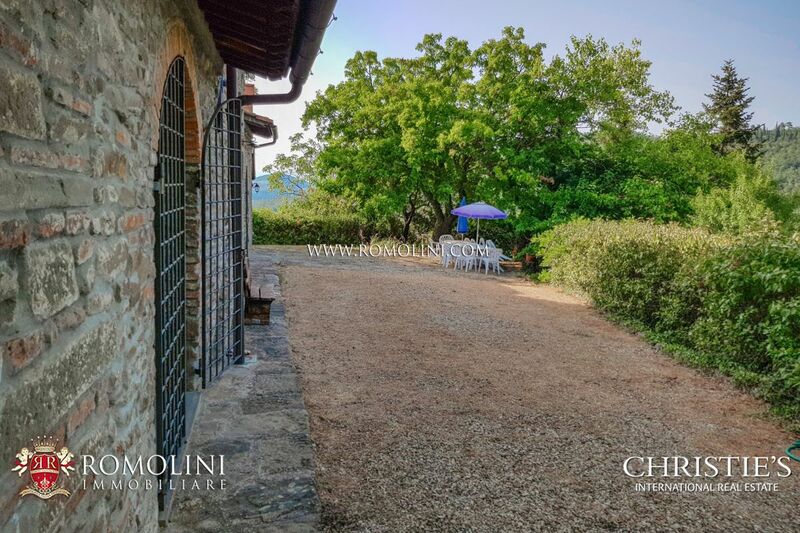 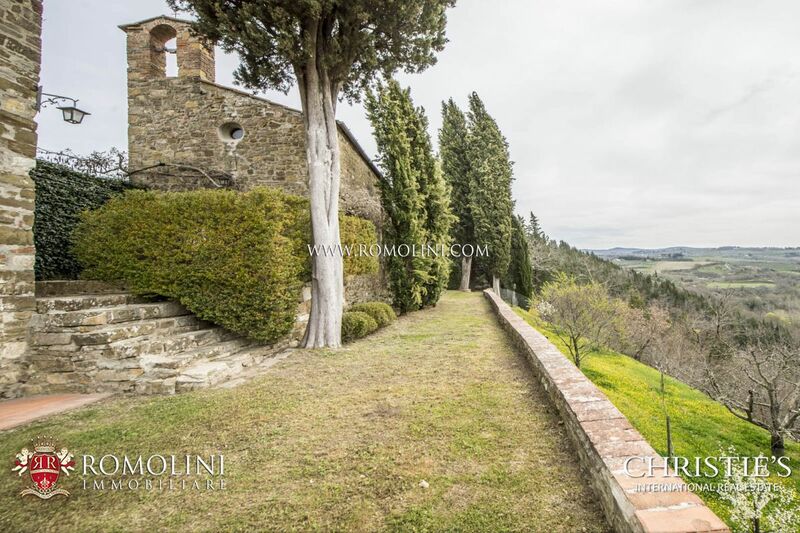 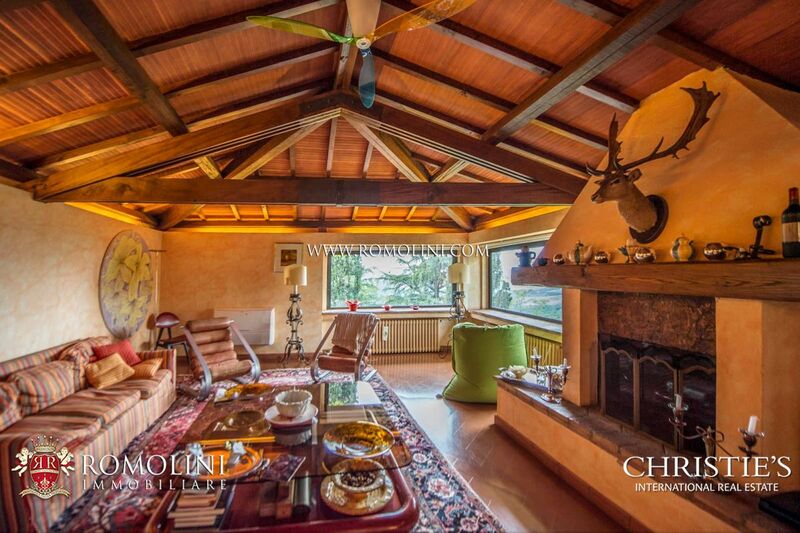 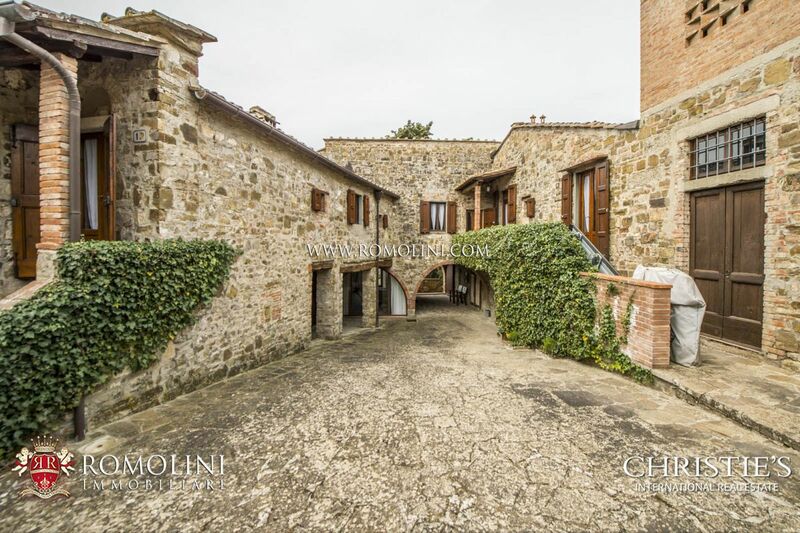 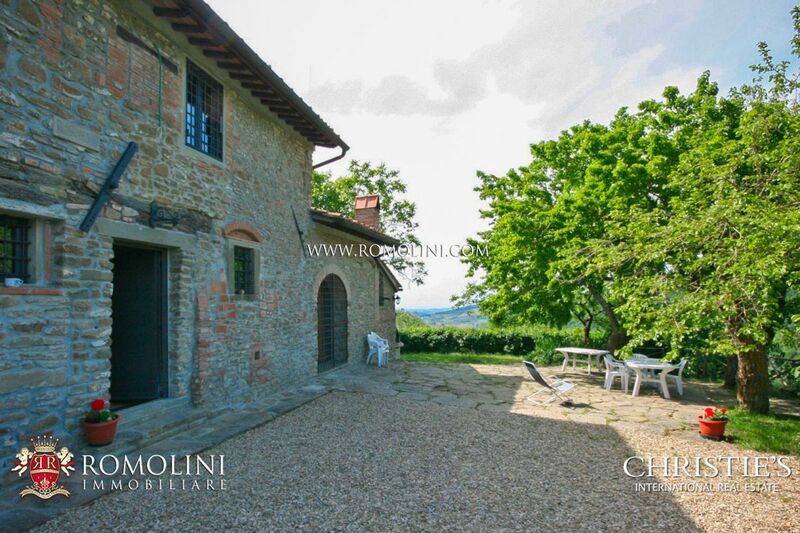 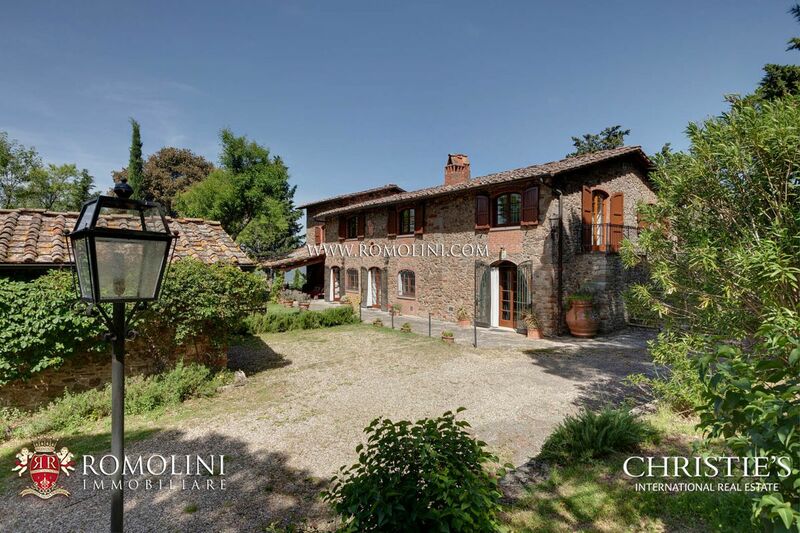 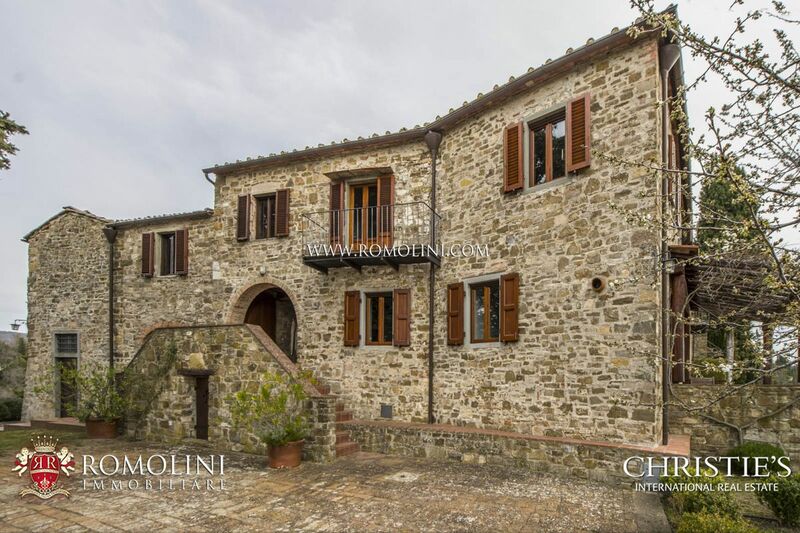 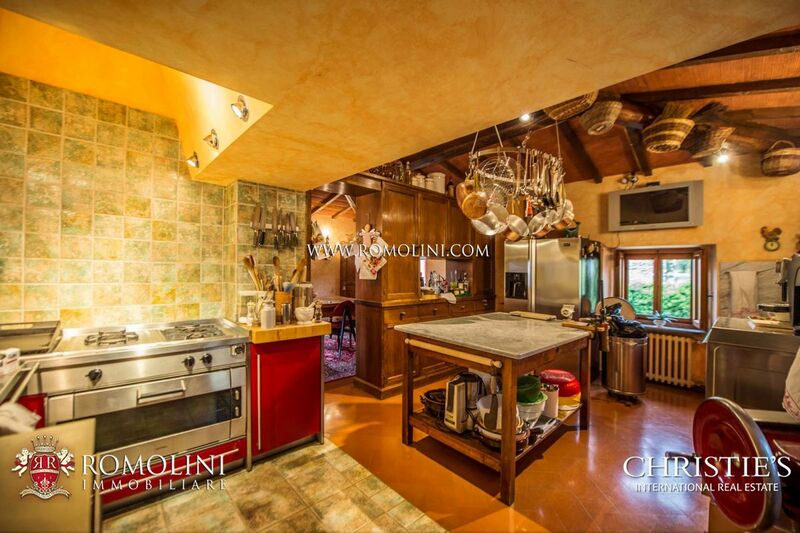 Estate with three apartments, annexes, chapel and 16.7 ha of land of which 4 hectares of olive grove and 0.5 hectares of vineyards for sale in Tuscany, in the Chianti Classico area, in Greve in Chianti. 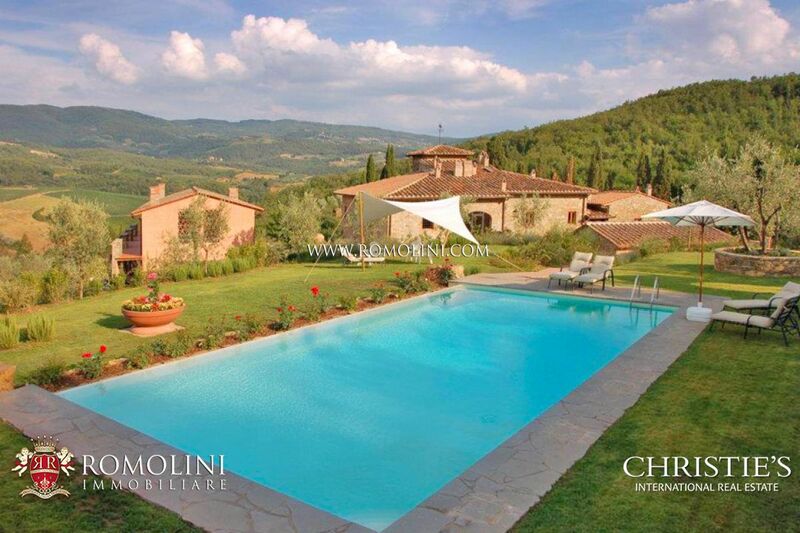 The estate is placed at the edge of a small group of country houses, within easy reach of shops and services. 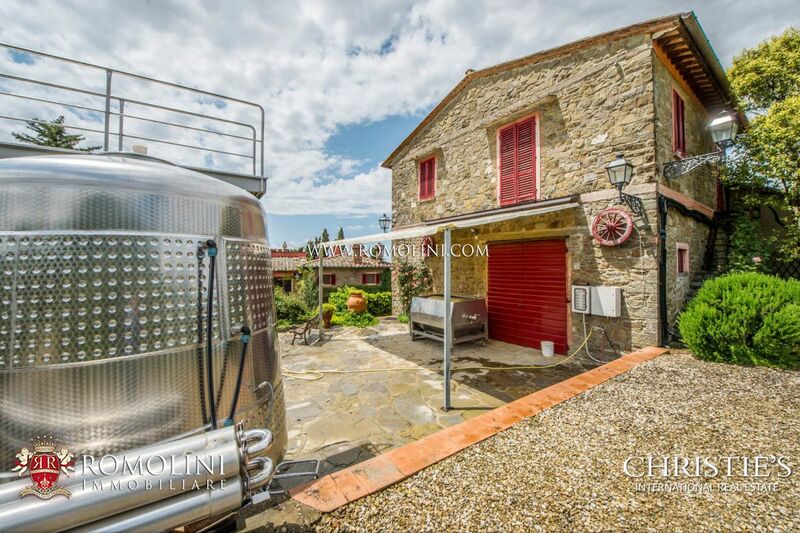 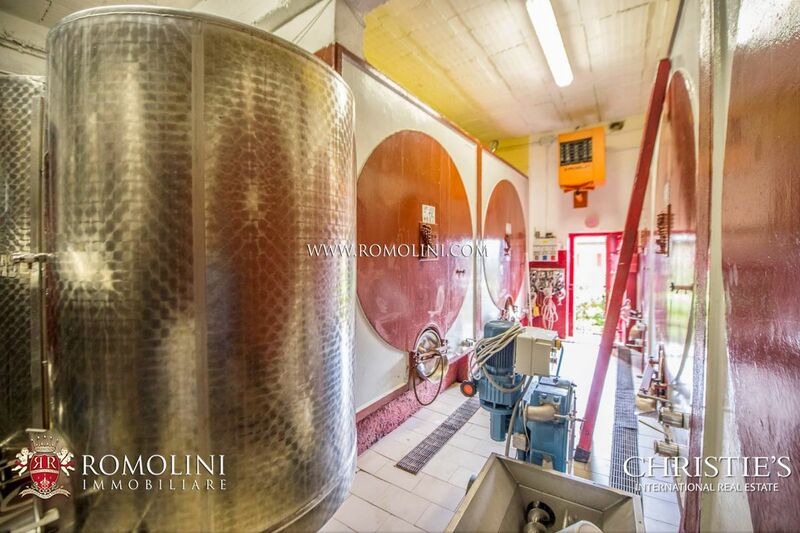 The property, which was carefully restored, is equipped with all the necessary machines to produce wine and olive oil.